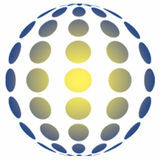 Experts in government insurance, we specialize in the everevolving public entity insurance sector, so you don’t have to. As an industry leader, MIDLANDS can provide customized solutions that include superior service - for the agent and the insured. We offer the coverages that your clients need at competitive prices that only MIDLANDS has the market presence to deliver. HEALTHIER WORKPLACE | FEATURE Adds Keith Gautreaux, M.D., medical director of the company’s two onsite clinics: “The holy grail of medicine is to have healthy people, not to treat illness. At SEL, we take the long view that if we can achieve that, then we end up saving money.” Examples include increasing influenza vaccination rates and sending home employees who are diagnosed with the flu with guidelines about when to return to work. He says this policy will protect co-workers from an epidemiologic standpoint and prevent more absences. we’re a pretty young workforce,” she reports, noting the average age of covered employees is 39 and the total number of covered lives is 28. “We’re a growing organization and we didn’t have any large, specific demographics that we were trying to necessarily address.” SEL has 104 sales and support offices worldwide, with slightly more than half located in the U.S. The company has doubled in size within the past five years, with a large percentage of employees joining since then. 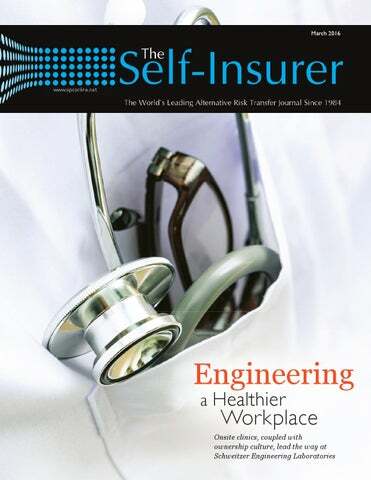 Of 3,167 U.S. employees, 98% are eligible for health insurance through SEL’s self-insured plan. When factoring family members into the mix, there are roughly 6,300 covered lives. Moving the Needle It was during the company’s 2012 transition from a fully insured to selffunded health plan that management developed a better understanding of health care and insurance. Accompanying that vision was a growing appreciation for the benefits of having onsite clinics to elevate health outcomes and cost containment. approached various vendors but decided to run its own operation. “I think that’s pretty unique to the industry,” Beehler observes. The influence of employee ownership is inescapable. “Being 100% employeeowned, our providers are also employee owners, which gives them the ability to really engage in what they’re doing and take control of managing the health clinic in a whole new way that other providers at other community clinics can’t do,” she explains. “They want to use our dollars wisely and treat patients quickly” so they can return to work faster. In fact, she quips about the patient waiting room being the smallest space in the entire clinic. Employees are thought to save about an hour by visiting the onsite health clinic vs. another facility in the community. Strengthen your business with In-Sight, the first truly integrated Employee Benefits, Workers’ Compensation and Health Management program. In-Sight puts the administrative and cost control efforts of these programs into the hands of a single, integrated team. Why? Integration allows us to eliminate administrative oversight, prevent duplicate claims and address potential health issues before they become costly problems. The result? Reduced claims spending and a healthier, more productive workforce. Call IPMG at (888) 470-9569 to learn how In-Sight can strengthen your business. The Freedom of Free Care Perhaps the most surprising or noteworthy aspect of SEL’s onsite clinics is that they’re completely free to employees and their dependents. The thinking is that every dollar saved for one of SEL’s employees also benefits the company. “They just have to be on our health plan to utilize the health clinic,” Beehler explains. “There’s no co-pay, so I would say that’s an incentive.” Having access to free onsite health care reiterates the prevailing sense of employee ownership and pride that people take in working at SEL by returning the savings it generates, but she says it also helps attract and retain top talent. Bruce Shutan is a Los Angeles freelance writer who has closely covered the employee beneﬁts industry for 28 years. As SEL devotes additional resources to its onsite health clinics and cements its commitment to population health, she says the objective is to retain a healthy workforce “that is going to grow with us” as the employee population ages. Gautreaux is proud of the more systematic clinical approach SEL has adopted. “What I like about the freedom of an onsite health clinic, particularly at SEL, is that we can do those innovative things without being beholden to traditional pay structures” or office visits, he explains. He’s sanguine about the prospect of telemedicine and additional avenues of care delivery that have yet to be fully explored. n early January, the Federal Housing Finance Agency (FHFA) released ofﬁcial changes to the rules governing membership in the Federal Home Loan Bank (FHLB) system. The new rule bars captive insurance companies from membership eligibility in FHLBs. It took effect in February. About the FHLB System The types of captives that are affected by the rule change are those owned by real estate investment trusts (REITs) – private or publicly held companies that own or finance income producing real estate. By themselves, REITs are not allowed membership into the FHLB system, but they can access the system through their captives. As FHLBs can generally offer better terms than traditional banks and bond markets for dependable funding, it can be an important source of liquidity for the alternative risk transfer market. governed by the FHFA since 2008 when that agency was created through the Housing and Economic Recovery Act of 2008. The eleven FHLBs are conservatively managed with a longterm view of financial investments. Because they are cooperatives, they reinvest any profits, keeping costs low. Small financial institutions and community banks rely on loans from FHLBs to help maintain liquidity. The FHLB system is worth over $800 billion and, after the U.S. Treasury, is the biggest U.S. bond borrower. According to a speech made by the FHFA director, Mel Watt, in May 2014, loans made by FHLBs to insurance company members increased from one percent in 2000 to 14 percent in 2013. While insurance companies have always members been in the FHLB system, they now accounted for a larger portion of the loans awarded. The growth in member insurance companies receiving loans is reflected in the growth of the insurance sector in the overall financial marketplace. Watts cited lingering concerns about the health of the insurance marketplace after the financial fallout in 2008. When the changes were first proposed, Watts indicated that the new rules were meant to make sure that FHLBs can continue to safely support the housing financing marketplace. Recourses Other reactions have been equally dissatisfied with the FHFA’s ruling. According to Mike Teichman, a partner with the law firm of Parkowski, Guerke & Swayze, P.A, “Notwithstanding the 1,000 or so comment letters opposing the rule change, the FHFA was unpersuaded b the many arguments against the rule. We don’t know why they have dug in their heels, but we understand that they are expecting litigation over the new rule and have decided not to grandfather existing captives in order that they are not accused of taking inconsistent positions with different captives and captive owners.” At this time it is unknown if or from which quarter legal action will come. In all likelihood, legal action will come directly from REITs themselves, with the support of the larger captive community. Any legislative intervention by Congress will likely be stalled due to the current election cycle. ■ Karrie Hyatt is a freelance writer who has been involved in the captive industry for more than ten years. More information about her work can be found at www.karriehyatt.com. extender” bill ultimately included language that will impact captive formation and operation in its limitations on familial ownership, new asset valuation reporting and other definitional changes, it also includes other opportunities for the industry to better evolve, including increasing the allowable annual premium to $2.2 million from $1.2 million. “We set out both short- and longer-term objectives for our ERC support campaign,” said Jeff Simpson, chairman of SIIA’s Alternative Risk Transfer Committee and of the ERC Working Group. “Our immediate urgency this year will be to gain clarification from Congress and the IRS in how the new small captive rules will be interpreted and implemented. Clarity will be needed for operation of all ERCs beginning next January 1.” The Working Group sketched out an approach to Congress and the IRS that will become tactical and more proactive in the coming months. “We have successfully facilitated meetings for our ERC group with the Senate Finance Committee and other Congressional venues, as well as with key members of the Treasury Department and IRS and we look forward to continuing to do that,” said Ryan Work, SIIA’s Vice President of Government Relations, who organized the ERC Working Group meeting. Another point of urgency for supporting ERCs is the current tax court case, Avrahami vs. Commissioner. This is the first court case that tests IRS interpretation of rules governing ERCs. Testimony has been completed and briefs filed – including an amicus brief by SIIA – and a decision is anticipated by summer. “That case will have a great bearing on both operation and regulation of ERCs in the future and it will provide focal points for SIIA advocacy of additional protective legislation or regulatory relief,” said ERC Working Group chairman Simpson. A longer-term objective of the ERC support campaign will be to strengthen the standing of ERCs among the insurance industry, the business community and the general public. “If we can raise the level of appreciation for the many positive aspects of ERCs, that will go a long way in making them better understood by lawmakers and regulators,” Simpson said. The ERC Working Group also addressed the importance of extending support for small captives to state legislators and regulators. States collectively present a highly complex environment that includes those which serve as captive domiciles, those that appear uninterested in the captive industry and those that actively oppose captives. The wild card in dealing with state insurance regulation is the National Association of Insurance Commissioners which has exhibited resistance to captives. “Think of our job in supporting captives in the federal government and multiply that by 50 states, plus the District of Columbia and U.S. territories,” said Adam Brackemyre, SIIA’s Vice President of State Government Relations. The ERC Working Group also discussed a potential initiative between SIIA and state regulators to establish “best practices” for regulating ERCs. “The more that industry and the states coalesce around sound ERC operational standards, the better it will be for all parties, including the IRS, which has been skeptical that sound practices are being applied to ERC operation and regulation,” Simpson said. A publicity campaign will also be undertaken by SIIA to create more positive coverage for ERCs in order to better tell the positive story of how 831(b) and the industry in general are making a difference. “This campaign demonstrates the fact that SIIA is the only industry organization that offers members the capability and willingness to support small business captives with government at all levels,” Simpson said. ■ SIIA member inquiries about this or other federal government relations issues are welcome to contact Ryan Work at rwork@siia.org or (202) 595-0642.
on government processes and learned how to effectively advocate for favorable decisions about issues that affect self-insurance. in members’ abilities to conduct grassroots advocacy, particularly in states that are grappling with issues such as stop-loss insurance, which is an absolute necessity to many employersponsored benefit plans,” said Adam Brackemyre, Vice President of State Government Relations in SIIA’s Washington, DC, office. The expert risk assessment and exceptional service delivery of HM Stop Loss give self-funded groups the financial protection they may need to meet the challenges of a changing health benefits market. Our performance, policy and protection set us apart as we deliver smart solutions to our clients. Find tips, tools and insights for self-funding with Stop Loss at hmig.com/self-funding. “In our state it appears that the legislators, regulators and industry all work together on the objectives of protecting consumers and maintaining a fair and business friendly environment. As a result, we enjoy a degree of market freedom that serves the economy and taxpayers,” he added. Oklahoma is just one current example of the stop-loss industry’s ability to effectively advocate for its interests. “Over time we have been gratified to see improved government outreach among SIIA members in many states,” Brackemyre said. ■ SIIA members who wish to join the state government relations team are invited to contact Adam Brackemyre at the Washington, DC, ofﬁce, (202) 463-8161 or abrackemyre@siia.org. Don’t get plowed over by high healthcare costs. Renalogic offers a suite of data-driven renal health services to deliver comprehensive risk prediction, Chronic Kidney Disease (CKD) care and dialysis cost management for self-funded plans. Call (866) 265-1719 for a complementary risk analysis. igniﬁcant medical advances mean more Americans are surviving catastrophic illnesses or episodes such as cancer, heart disease, heart attack and stroke. But rising out-of-pocket costs are complicating recovery – and life – as more people enroll in high deductible health plans (HDHPs). Fortunately, there are solutions at hand for self-insured employers seeking to forge more of a partnership approach to health plan management with employees and their families. A core buy-up approach involving supplemental healthcare benefits such as critical-illness and accident policies ensures that employees have a baseline financial protection moving forward. It also provides them with a vested interest in and better understanding of, self-insurance. Moreover, having access to nurses and claims staff associated with these plans can help employees make better decisions and therefore, potentially mitigate costs or claims. “People need to make tradeoffs to cover their out-of-pocket expenses, whether it’s putting off a vacation or a major purchase, such as a new roof on their house or a new car,” observes Bryan Burke, director of product management and development at Sun Life Financial. Other unfortunate scenarios or outcomes include incurring debt, draining life savings, filing for personal bankruptcy, experiencing a foreclosure, or borrowing money from family or friends. Self-insured employers can help their employees avoid these pitfalls by offering supplemental or ancillary insurance products to offset these expenses and add a critical layer of financial protection. This strategy also can shield health savings account (HSA) balances from catastrophic events and enable employees to leverage the power of these accounts over time. Eyeing Fixed Costs Helping employees leverage their benefits portfolio to help plug medical coverage gaps is considered a recruitment and retention tool at Siddons-Martin Emergency Group, which sells ambulances, fire trucks, police cars and command vehicles across Texas, Louisiana and New Mexico where 14 service centers also do repairs on those vehicles. “The majority of our customers are governmental entities – fire departments, police departments, cities and towns – so we end up recruiting mechanics and technicians” from those avenues, says Jeff Keiser, EVP of Siddons-Martin Emergency Group, which has grown over the years and is actively hiring. “One of the things we found was that we had to be a little more aggressive on what we did from a benefits standpoint.” To help boost participation in its HDHP, which is 45% compared to 55% in the PPO, Siddons-Martin pays 100% of the coverage once employees meet their annual deductible, whereas it’s 90% for the PPO, whose total out-of-pocket costs exceed the HDHP. The company also kicks in more money on HDHP monthly premiums, which average just $45 per employee compared to about $120 for the PPO. “I’m a personal proponent of the high deductible plan and an HSA because I feel like it gives a lot more finality to exactly what you are going to spend in health care dollars,” Keiser says. $2,500 for employee-only coverage and $5,000 for family coverage. In addition, dental and vision plans are offered on a 100% voluntary basis and life insurance that’s one times base salary, as well as short- and long-term disability policies. When Keiser was hired, one of his first was to re-evaluate the fully insured health plan, which predated a 2011 merger between two separate companies. A decision was made to self-insure through a Cigna administrative services only arrangement featuring a fixed cap each month, regardless of the firm’s claims history, which became a fully selfinsured plan in 2012 with Sun Life as the reinsurer. “We were responsible in the first year for claims up to $25,000 and currently we have coverage up to $35,000,” Keiser reports. plans if they’re thinking about making a change. And it can even help them if they’re having a discrepancy with one of their bills.” An added benefit is that it helps grant peace of mind to people who are diagnosed with catastrophic illnesses, which he says can be not only physically draining, but also take a harsh emotional and financial toll. Another conduit to this peaceful path is undoubtedly through HSAs. Whereas most HSA accountholders take advantage of the pretax contributions and tax-free withdrawals on qualified medical expenses, Burke explains that savers also benefit from tax-free investment gains. This will help them grow their account balance to pay for out-of-pocket medical expenses for themselves or a family member during their working years or even into retirement. Are you ready to take the guessing game out of Step Therapy programs? ARMSRx is now offering drug DNA testing for employers. Includes over 200 medications. to Burke. That level of protection will prevent HSA account holders from depleting their savings, which can be leveraged over time to pay for unanticipated expenses. One interesting comparison is that there are roughly the same number of HSAs and Section 529 college-saving plans – roughly 14 million accounts apiece, he explains. However, he says “the average account balance for an HSA is nearly 10 times less than that for a 529 plan.” The cost of education is obviously significant and 529 plan participants expect the children they enroll will attend college. But working Americans “aren’t doing that same kind of diligence when it comes to retirement other than maybe a 401(k),” Burke observes. So while there’s more of a focus on paying for a college education, he says there’s no such planning for a catastrophic health event, which can deplete retirement savings. “There’s such a strong correlation between HSAs and supplemental health all the way through disability and certainly self-funded insurance,” he says. In a post-health care reform climate, Burke thinks “it’s only a matter of time before consumers become very well educated on these products. That’s probably not too far down the road. All it’s going to take is a couple people who have used the benefit and then word of mouth is going to spread pretty quickly across the employer and they’re going to realize the real value of it because these products are intended to really help when people need it most.” ■ Bruce Shutan is a Los Angeles freelance writer who has closely covered the employee beneﬁts industry for 28 years. “FAIRNESS” | FEATURE plan, in full. And this, the Supreme Court opines, is equitable? and that the plan’s rights are not lost. The only question is, do you have the plan language and recovery process to make sure the clock doesn’t run out on your subrogation rights? ■ Christopher Aguiar is an attorney with The Phia Group, LLC. Beginning his career in 2005 and specializing primarily in subrogation recovery, Chris has managed thousands of cases nationwide and spearheaded negotiations between plan participants, plaintiffs’ counsel and plan administrators on matters of State and Federal Law as well as ERISA Preemption, recovering millions of dollars on behalf of beneﬁt plans. Since receiving his license to practice law in the State of Massachusetts in 2014, Chris has also handled plan drafting and plan consulting matters ranging from plan language analysis, claims appeal assistance, balance billing defense, pre-payment claim negotiations, overpayment recovery, stop loss, PPO, and administrative service agreements. n IRS Notice 2015-87, the agencies provided further clariﬁcation on the impact of the Affordable Care Act (ACA) group health plan market reform provisions on account-based plans and much needed guidance on the Section 4980H employer shared responsibility requirements. In many cases, common beneﬁt design practices for employer credits and opt-outs must be revisited prior to the next annual enrollment. In this two part article we cover this important IRS guidance. Part I will cover the impact of Notice 2915-87 on HRAs, FSAs and HSAs. Part II will cover guidance related to the IRC 4980H excise tax and FSA carryover provisions. In prior guidance, the agencies made it clear that HRAs subject to the group market reform rules cannot use the HRA to purchase individual market medical coverage. The IRS reiterates that an HRA that covers less than two current employees, such as a retiree-only HRA, is not subject to the ACA’s group market reforms. The ACA’s group market requirements that require plans to provide no-cost preventive care and prohibit annual or lifetime dollar limits (the “market reforms”) on essential health benefits do not apply. The IRS concluded that a retireeonly HRA can base balances in whole or in part on amounts credited to the HRA as an active employee covered by an HRA integrated with major medical coverage. That said, the IRS cautions that former employees are not eligible for premium tax credits in the Marketplace for any month HRA funds are available to them. Q2 © Self-Insurers’ Publishing Corp. All rights reserved. HRAs Cannot be Used to Purchase Individual Market Coverage for Current Employees... They Really Mean It! Once again, the IRS makes it clear that an HRA cannot be used by current employees to purchase individual market major medical coverage. An HRA that can be used to purchase individual market major medical coverage will not be considered integrated with ACA compliant group health coverage. As a result, the HRA would violate the ACA’s group market reforms. Building on that premise, the IRS adds that an integrated HRA cannot be used to purchase individual market major medical coverage even if integrated with ACA compliant group health coverage. Notice 2015-87 closes the door on HRAs that reimburse individual market major medical coverage. Transition Relief for Spend-down HRAs for Some Amounts Credited Before 2014 In 2013 FAQ guidance, the agencies provided transition relief for certain pre-existing HRAs. Notice 2015-87 clarifies that after December 31, 2013, HRAs can reimburse medical expenses without violating the ACA’s market reforms if: 1. The amounts were credited before January 1, 2013; or 2. The amounts were credited during 2013 under the terms of an HRA in effect on January 1, 2013. However, if the HRA in effect on January 1, 2013, did not set the amounts to be credited during 2013 or the timing of the credits, the amounts credited during 2013 cannot exceed the amounts credited during 2012 and be credited on an earlier schedule or at a faster rate than the 2012 crediting schedule or rate. 2015-87 is not clear whether the family members must be enrolled in an ACA compliant plan of the same employer or whether enrollment in an ACA compliant plan of another employer would suffice. The Notice seems to say that coverage in the ACA compliant plan must be provided by the same employer; however, the final regulations issued prior to the Notice indicate that an HRA can be integrated with another employer’s group health plan. CHOOSING A HEALTHCARE PROVIDER IS A LITTLE LIKE DRIVING WITHOUT A GPS. Only the consequences can be much worse than just getting lost. Does your electronic payment provider have you stuck in a gridlock? Let ECHO 速 streamline your electronic payments and get your company on the fast track to success with the only complete settlement option in the marketplace. Our unique process allows us to maximize your financial resources while reducing administrative costs. statements and funds into one. The IRS says that the employer must report each individual whose medical expenses are reimbursable as having received minimum essential coverage under Section 6055 (i.e., for 1095 reporting). In some cases, an employer might not know whose expenses are reimbursable under the HRA if the employee has never received group health plan coverage through the employer and/or the employee never filed a claim for that dependent’s expenses. Further guidance would be welcome. The IRS clarified that an HRA or employer payment plan can reimburse individual coverage that is restricted to excepted benefits only. Typically, such excepted benefits include standalone dental and vision coverage. When funded through an HRA (as opposed to salary reduction through a cafeteria plan), such coverage should not include specified disease or other fixed indemnity coverage. IRS examples indicate that HRAs that reimburse individual market coverage must have terms limiting reimbursement to coverage for excepted benefits. If the terms of the HRA do not limit reimbursement of individual market coverage to excepted benefits, then the HRA violates the ACA’s market reforms. Plan sponsors should review their HRA plan documents and amend them if needed. An Employer Payment Plan Offered Under a Cafeteria Plan Cannot be Used to Purchase Individual Market Major Medical Coverage... Again, They Really Mean It! The IRS confirms that a cafeteria plan that allows employees to purchase individual market major medical coverage with pre-tax dollars would also be considered an employer payment plan and thus would be prohibited from funding individual market major medical coverage. unaffordable coverage under Section 4980H(b) (the “tackhammer” penalty), as well as Section 6056 reporting (IRS Form 1095-C), the employer contribution is treated as made ratably for each month of the period it relates to. Certain “Health Flex Contributions” Reduce an Employee’s Required Contribution for Affordability Purposes. Cashable Credits and Unrestricted Credits will Not Reduce Required Contributions. 2. May use to pay for minimum essential coverage; and 3. May use exclusively for Section 213 medical care. For purposes of excise taxes for unaffordable coverage under Section 4980H(b)(the tackhammer penalty), as well as Section 6056 reporting (IRS Form 1095-C), a health flex contribution is treated as made ratably for each month of the period it relates to. Flex contributions that are not health flex contributions do not reduce the employee’s required contribution for affordability purposes. Thus, if an employee can use a flex credit to pay for non-health care benefits (for example, dependent care or life insurance), then the flex credit will not reduce the amount the employee pays toward the employer’s group health plan for affordability purposes even if the employee ultimately uses the credit for health coverage. The IRS based the distinction between health flex contributions and nonhealth flex contributions on the final Section 5000A regulations. Those regulations state that the employee’s required contribution is the amount of compensation that the employee could use for something other than health-related expenses that the employee must forgo to obtain the employer’s health plan coverage. An employee who elects self-only health plan coverage must pay $200 per month toward the cost of coverage. The employer offers flex contributions of $600 per year that can only be applied toward the employee share of health plan coverage or contributed to a health FSA. In this case, the flex contribution is a health flex contribution regardless of whether the employee applies it to the employee share of health plan coverage or contributes it to the health FSA. For Section 4980H(b) and its reporting under Section 6056, the employee’s monthly required contribution for group health coverage is $150 ($200 – $50). – Note that the amounts above are based on the example in Notice 2015-87. However, if more than $500 of the health flex credit can be contributed to a health FSA, then the health FSA would not be an excepted benefit, which means that the health FSA would be subject to the ACA’s market reforms. Plan sponsors should use caution when applying this example. An employee who elects self-only heath plan coverage must pay $200 per month toward the cost of coverage. The employer offers flex contributions of $600 for the plan year that can be used for any cafeteria plan benefit, including non-health benefits like dependent care. The flex credit is not available as cash. In this case, the flex contribution is not a health flex contribution and does not reduce the employee’s required contribution because it can be used for purposes other than medical care. – Again, note that a flex credit of more than $500 that cannot be cashed out would prevent a health FSA from being considered an excepted benefit, which would violate the ACA’s market reforms. 2015-87 reminds employers that flex credits an employee can elect to receive as cash or a taxable benefit are counted toward the limit on salary reduction contributions to health FSAs under Section 125(i). health coverage. The IRS clarified its position regarding unconditional opt-out payments, which are payments when an employer offers an amount that cannot be used for coverage under its health plan and is only available if the employee declines or waives coverage. An opt-out payment is “unconditional” if it is conditioned solely on the employee declining coverage and not on the employee satisfying other meaningful requirements, such as providing proof of coverage through a spouse’s employer. The IRS stated that the choice between cash and coverage for an unconditional opt-out payment is the same as the cash or coverage choice employees make with salary reductions. In both cases, the employee can purchase health coverage only by giving up a specified amount of cash that he or she would otherwise receive (in other words, salary for salary reductions, or other compensation for the opt-out payment). For example, an employee who must reduce his or her compensation by $1,000 to pay for employer-provided health coverage is making a choice similar to the employee who is not required to pay anything for coverage, but who receives an additional $1,000 in compensation for declining coverage. In both cases, the employee must give up $1,000 in compensation that otherwise would be available. An employer requires employees who elect self-only coverage to contribute $200 per month through its cafeteria plan. However, the employer offers an additional $100 per month in taxable wages if the employee declines coverage. The offer of $100 in additional compensation has the effect of increasing the employee’s contribution to $300 per month because he or she must forgo $100 per month in compensation in addition to the $200 per month salary reduction for coverage. The IRS intends to issue proposed regulations regarding this rule. However, the IRS anticipates amounts offered or provided under an unconditional optout arrangement that is adopted after December 16, 2015, will increase the employee’s contribution for affordability purposes. An opt-out arrangement is treated as adopted after December 16, 2015, if: 1. The employer offered the opt-out arrangement (or a substantially similar flex contribution arrangement) for a plan year including December 16, 2015; 2. A board, committee or similar body or an authorized officer of the employer specifically adopted the opt-out arrangement before December 16, 2015; or 3. The employer had provided written communications to employees on or before December 16, 2015, indicating that the opt-out arrangement would be offered to employees at some time in the future. Before the applicability date of regulations, employers are not required to increase the amount of an employee’s required contribution for Section 6056 (Form 1095-C) reporting purposes if the opt-out is eligible for this relief. In addition, an opt-out payment that is eligible for relief will not increase an employee’s required contribution for purposes of determining the tackhammer excise tax under Section 4980H(b). insurance producers and General aGents insurance producers and General aGents We have your most innovative alternate risk delivery system. We have your most innovative alternate delivery differentiate your operation from therisk rest with the system. differentiate your operation from the rest with the Benefit indemnity self-Funded exchange! Benefit indemnity self-Funded exchange! We Build and distriBute selF-Funded plans, products and ideas. We Build distriBute plans, products and ideas. Bringand us your product, selF-Funded your innovation, your ideas, your needs, Bring us your product, your innovation, your ideas, your needs, and we’ll build you a solution or application and put it into distribution. and we’ll build you a solution or application and put it into distribution. begin before January 1, 2017, individuals can treat unconditional opt-out payments as increasing their required contribution for purposes of determining premium tax credits. Also, an individual who can demonstrate that he or she meets a condition that must be satisfied to receive an opt-out payment (e.g., coverage under a spouse’s plan) in addition to declining an employer’s health coverage may treat the opt-out as increasing his or her required contribution for premium tax credit purposes. Deadline Delayed for 2015 Forms 1094-C and 1095-C Finally, the IRS noted that it provided delayed deadlines to submit Forms 1094C and 1095-C. Employers now have until March 31, 2016, to provide employees with the 1095-C (it was due February 1, 2016). It also extends the due date for electronic filing of the 2015 Forms 1094-C and 1095-C with the IRS from March 31, 2016, to June 30, 2016 (paper submissions by employers filing less than 250 Forms 1095-C are now due May 31, 2016). The good news for employees is that they can file their income tax return before they receive their 1095-C and will not need to amend their returns if they rely on coverage information they received from their employer previously. D.C. law ﬁrm. Ashley Gillihan, Carolyn Smith and Dan Taylor are members of the Health Beneﬁts Practice. Answers are provided as general guidance on the subjects covered in the question and are not provided as legal advice to the questioner’s situation. Any legal issues should be reviewed by your legal counsel to apply the law to the particular facts of your situation. Readers are encouraged to send questions by email to Mr. Hickman at john.hickman@alston.com. Steven Mindy, Esq. a senior associate in the Washington, DC ofﬁce of Alston & Bird, LLP assisted with this article. The IRS will not allow additional extensions. Employers must show a goodfaith effort to comply, as well as file and furnish the statements by applicable deadlines, to qualify for relief from accuracy penalties. Otherwise, the employer must satisfy the IRS’s standards for reasonable cause to receive relief. The IRS provided more information on this relief in Notice 2016-4. ■ The Affordable Care Act (ACA), the Health Insurance Portability and Accountability Act of 1996 (HIPAA) and other federal health beneﬁt mandates (e.g., the Mental Health Parity Act, the Newborns and Mothers Health Protection Act and the Women’s Health and Cancer Rights Act) dramatically impact the administration of self-insured health plans. This monthly column provides practical answers to administration questions and current guidance on ACA, HIPAA and other federal beneﬁt mandates. f all the phenomena that can affect the weather in North America, one of the most intense is known as El Ni単o. Strong winds, unseasonably warm temperatures in much of the country, excessive precipitation in some areas with excessive dry spells in others are just some of the changes to normal weather patterns it drives during the winter. The world of health payers is experiencing its own ongoing El Ni単o in the form of the Affordable Care Act (ACA). By making tens of millions more Americans1 eligible for health insurance, the ACA has had a profound effect on payer operations. Health insurance is no longer primarily a business-to-business (B2B) transaction between insurance companies and employers. Instead, payers must now be prepared to meet the needs of individual consumers on a massive scale. Here is how the winds of change are likely to play out for health payers in 2016.
began in January 2015. This code pays providers roughly $42 per member per month to deliver remote care management services2 to patients with two or more chronic conditions. The goal is to help those patients get better and stay well. With more than 100 million members, CMS has the ability to create changes that also affect commercial payers. As for the third requirement, there are more telecommuters than ever.3 Applications such as Skype, Facetime and business teleconferencing are making consumers comfortable communicating electronically. The ability to visit a physician via a smartphone, tablet, kiosk or other technology creates convenience, especially after normal business hours and in more rural areas where access to quality care is more limited. For many, 10 minutes via video conference versus long waits in waiting rooms for a 10 minute visit will become the preferred method of interaction for many simple healthcare encounters. increase the likelihood of finding a new payer next year. Additionally, members will be comparing their payer customer experience with those they have with retailers such as Walmart and Amazon.com, technology companies, telco providers, credit card companies and others. Again, if the payer’s service doesn’t meet their expectations, such as having a self-service portal available, they will likely seek one that does. Based on the 2014-2015 data4 38% of members changed their health plans in state exchanges with in one year. With price points remaining comparable customers will continue to look to service and experience as key differentiators when choosing a health plan. What is the value of that 50% discount? Why accept paying for one provider’s fraudulent, egregious, or erroneous charges simply because a discounted percent of billed charges is the status quo? At WellRithms, we go beyond the top down discount...we take a closer look at your bills to assess the real reasonable value of services. With methodology that is proven, patented, and defensible, let us provide you cost-containment analysis that is unique to your company, and your bills. focuses on keeping patients healthy rather than treating the sick. This model aligns very closely with the payers’ need to manage risk. Rather than continuing the old, adversarial model, payer/provider collaboration will increase in 2016 for their mutual benefit – and the benefits of member populations. Increased Adoption of Automation With millions more members creating hundreds of millions more transactions each month, payers can no longer afford to “throw bodies” at issues. Robotic process automation will bring new efficiencies in 2016, helping reduce the number of steps required for a process in order to improve the bottom line. In addition, automating elements of processes such as claims will enable payers to manage by exception rather than reviewing each claim manually, reducing costs while delivering reimbursements to Providers faster. Anand Natampalli, MBA, is Vice President, Global Business Development, for HGS, a provider of end-to-end business process services for numerous Fortune 100 health insurance companies and large provider organizations. He can be reached at anandmn@teamhgs.com. Rather than attempting to fix their own processes, more payers will look to outsource that work entirely so they can focus more internal efforts on managing risk and delivering an outstanding customer experience. It makes sense, especially as more employers encourage employees to seek out their own health plans, creating even more individual members. The ability to manage processes efficiently will quickly become a lower-value contribution to the bottom line. In addition, BPO organizations that work across multiple verticals are able to bring the best practices from each, improving the level of quality and service overall. This winter’s El Niño is forecast to be one of the most severe5 on record. But that’s still nothing compared to the changes that the ACA has brought to health payers. IIA’s will hold its annual International Conference at the Costa Rica Marriott Hotel San José April 5th-7th. This event will be focused on helping U.S.-based companies identify and understand potential business opportunities related to self-insurance/captive insurance in key countries throughout Latin America and the Caribbean. In addition, the event will provide a truly unique networking environment designed to connect U.S. attendees with attendees from Latin America for purposes of exploring partnerships and/or business development opportunities. The educational program begins Wednesday April 6th, with welcome remarks from SIIA President Mike Ferguson and Costa Rican Ambassador Roman Macaya, Ph.D. There will be a full day of sessions, covering topics such as Latin American Business Culture – Do’s, Don’ts and Other Essential Tips, SelfInsurance Business Opportunities in the Caribbean, a Carrier/General Managers Session and Latin America Medical Travel Trends. The program continues Thursday, April 7th with sessions discussing Captive Insurance Opportunities in Latin America and Self-Insurance Business Opportunities in South America. At the conclusion of the conference attendees have the option of participating in a tour of local medical travel facilities. Costa Rica has established itself as a leading international hub for medical travel. This hosted tour will show what the country has to offer by visiting of some of its top medical facilities that cater to international patients. ■ For more information on the program, tours, sponsorship opportunities and registration, please visit www.siia.org. >>> There are many exciting opportunities coming in 2016 for you to help support this great organization, including a pub crawl at the SIIA National Educational Conference & Expo, a rafﬂe of vacation home, producing a self-insured video with ART emphasis and holding more brieﬁngs on Capitol Hill. Look for more information soon on how you can participate! INNOVATIVE STOP LOSS AND ANCILLARY SOLUTIONS At BenefitMall, we know that employer groups benefit most from treating their health plan as an investment rather than an expense. Our team of self funded consultants can help you succeed by offering: • Unbiased Expertise and Review • Initial Placement, Implementation and Renewal of Coverage • Claims Audit, Submission, Tracking, and Resolution Services • Reporting, Compliance Services and Plan Document Review © Self-Insurers’ Publishing Corp. All rights reserved.